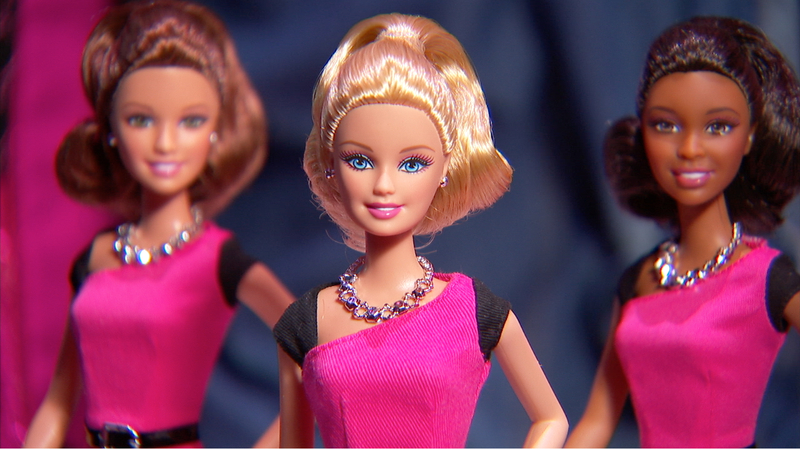 Toy company Mattel launched their newest presentation of Barbie at the International Toy Fair in New York this week. Say hello to Entrepreneur Barbie. With laptop case, tablet and smartphone in tow, there’s nothing this ‘chief-inspiration officer’ can’t do. Or is there? Firstly, it seems like Mattel have aimed to create an empowering and gender-appropriate product for girls (supposedly for ages 3+). Yet, upon closer inspection, it seems like they saw the point… and careered through it at some pace. 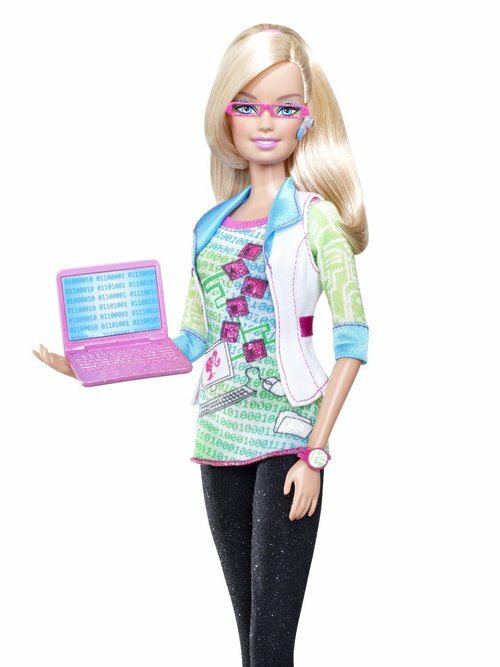 The newest addition to the I Can Be… range joins previous dolls, such as computer engineer Barbie in 2010, news anchor Barbie in 2010 and architect Barbie in 2011. It’s obvious that Mattel is attempting to move with the times, but have they created yet another ‘pinkified’ view of women in the workplace? Now, I am all about teaching girls that you can do whatever job you want. Because that’s the truth. But, to me anyway, using such a global child’s icon in a figure-hugging dress as her unrealistic body is poured into it, with perfect hair, expensive accessories just doesn’t ring right. Intentions were good, but after 55 years of Barbie, and more than 150+ job roles on her CV, should it have taken until now to get Barbie into a role typically reserved for men? She sure must be nervous as her debut as a business owner comes in a media frenzy of gender pay disparity news splashes. The doll, available in four ethnicities, is apparently a reflection of the times, but I don’t see many women entrepreneurs wearing hot pink fitted shift dresses, teetering on massive black heels with big hair. I mean, did you say Legally Blonde? Why can’t Barbie rock a more conservative pencil skirt and shift combo or a trouser suit? This ensemble just isn’t what I think young girls should be thinking is essential for a successful entrepreneur. And why should we play into a typical societal gender image of a woman wearing tight pink? If a woman wants to be in business, so what? This shouldn’t even be a big deal. I just can’t but feel that this (questionably) empowering doll is, although a step in the right direction, lacking something. The plastic fantastic brigade of entrepreneurs don’t say empowered to me. Just says that women have to look nice, even when in a typically masculine industry.